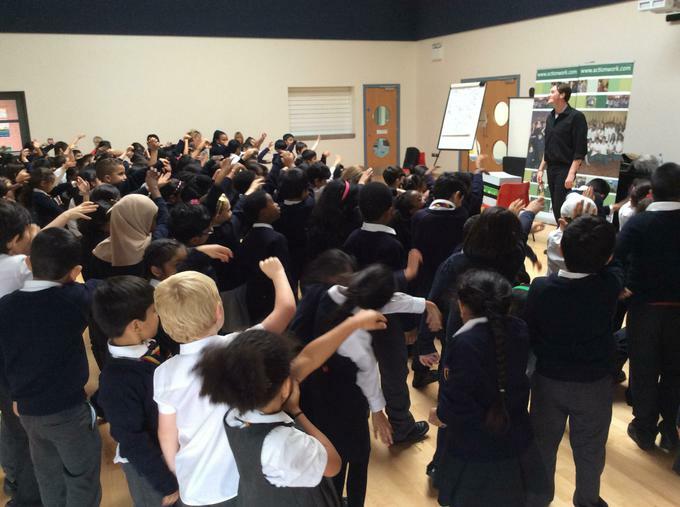 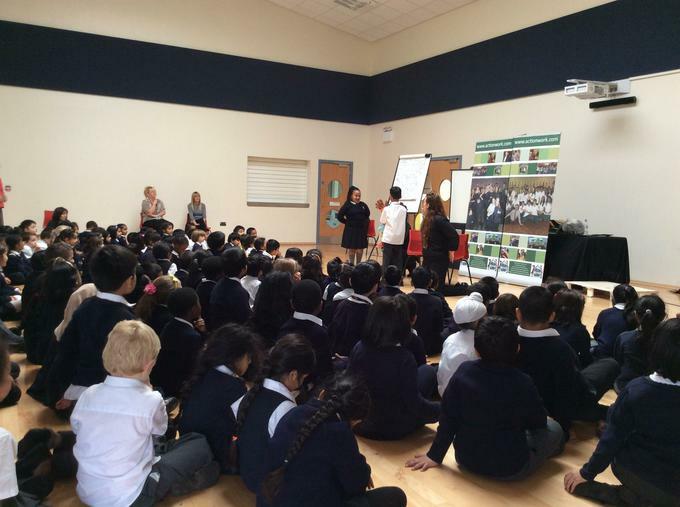 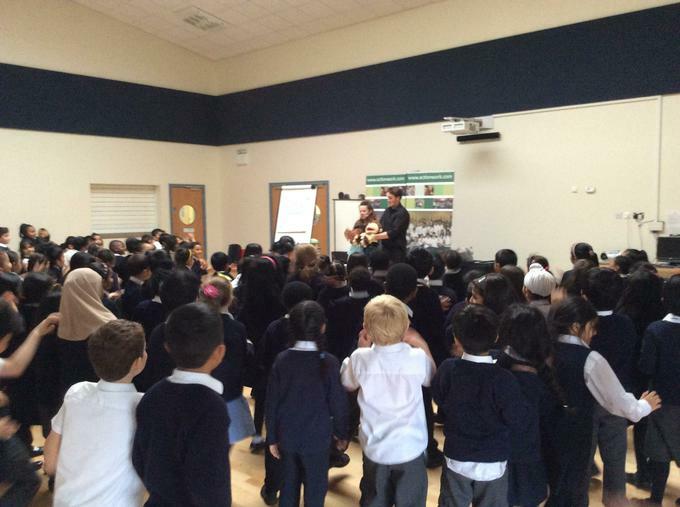 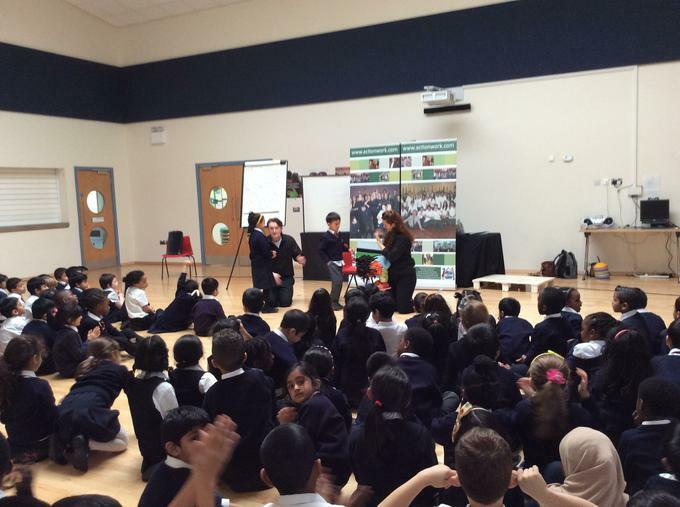 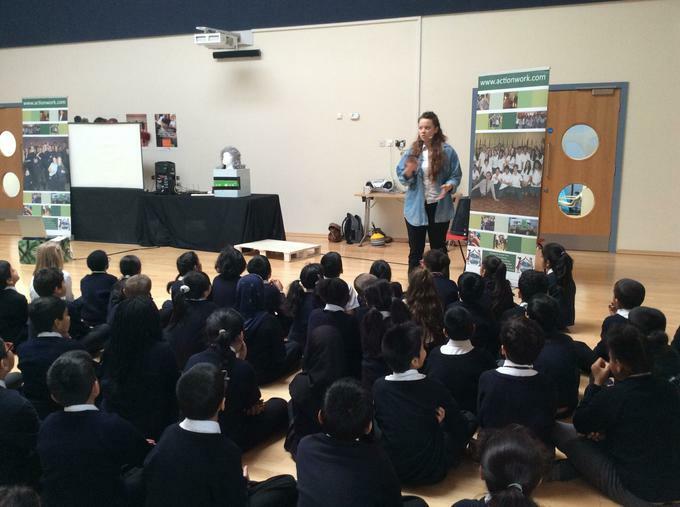 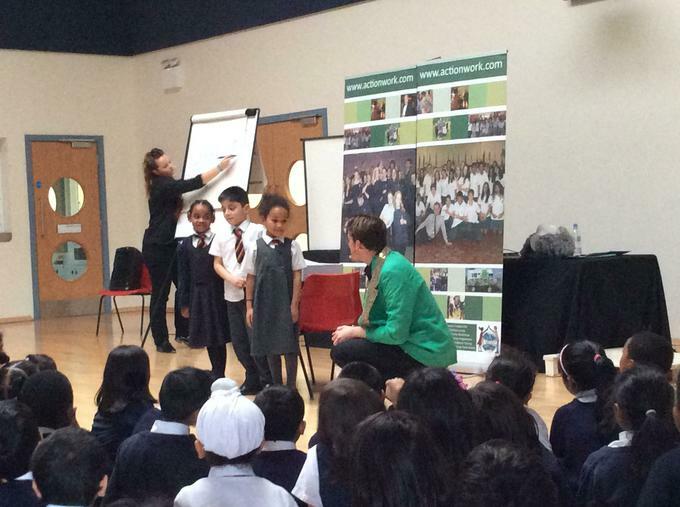 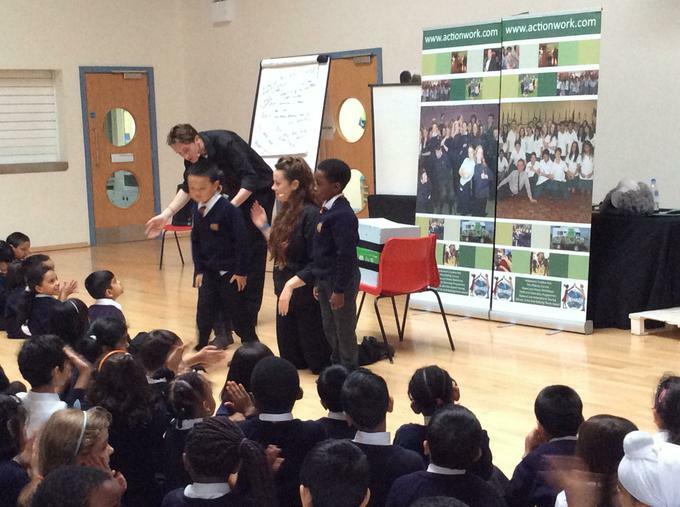 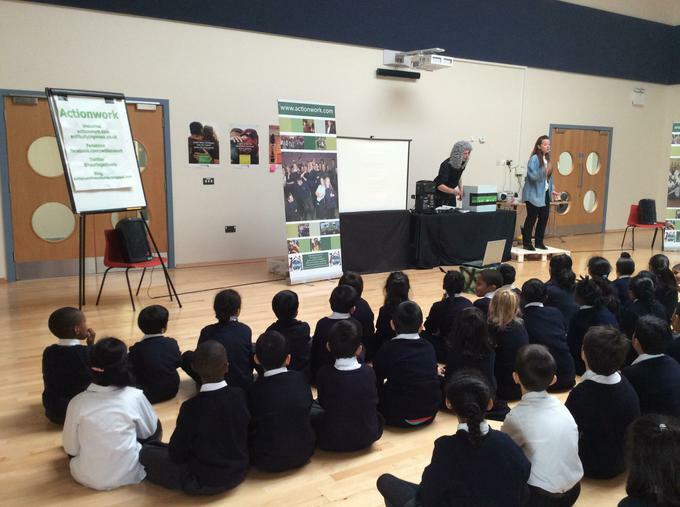 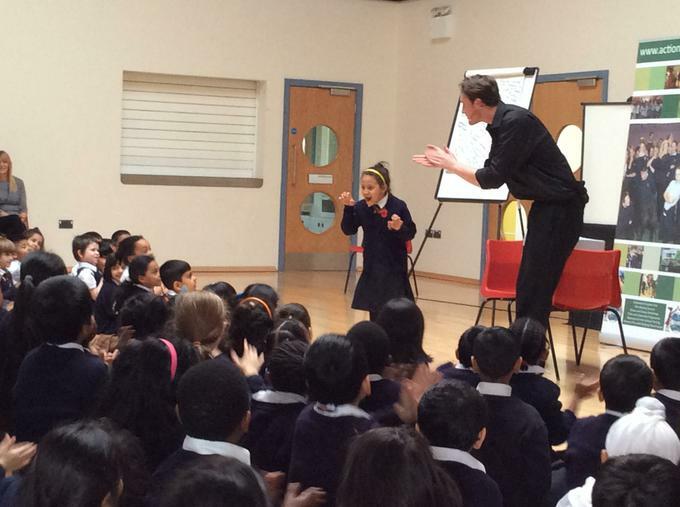 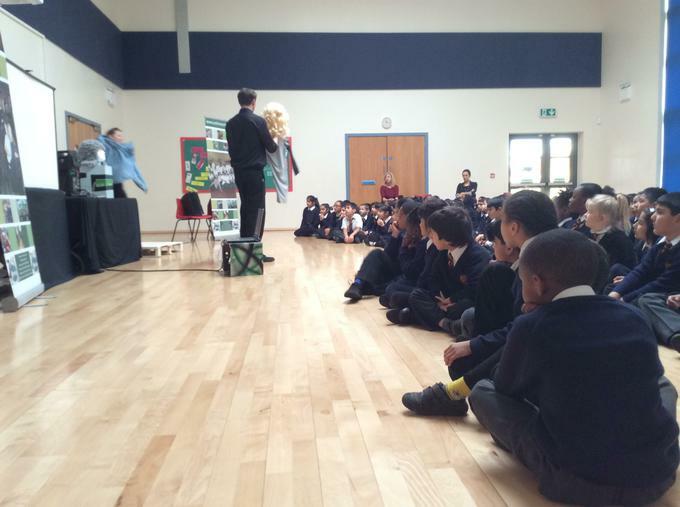 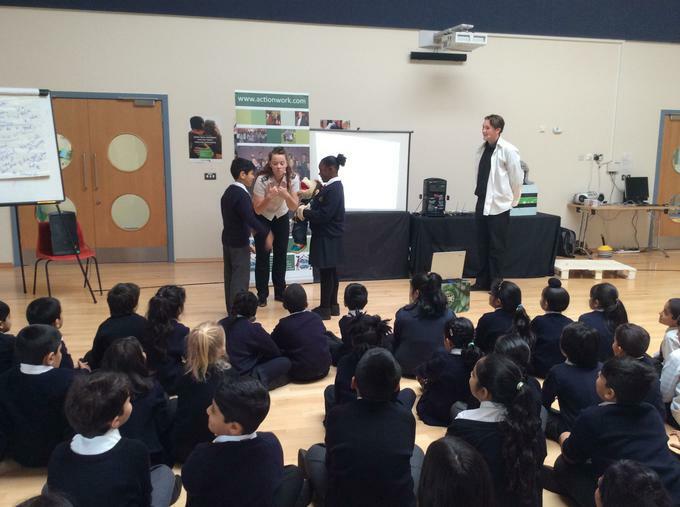 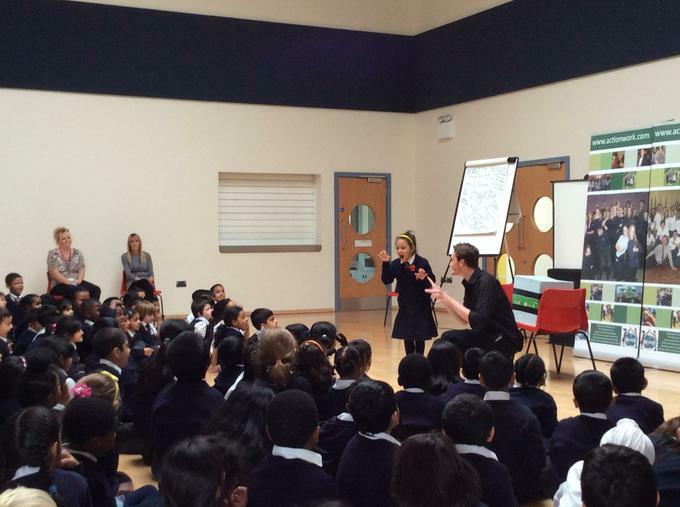 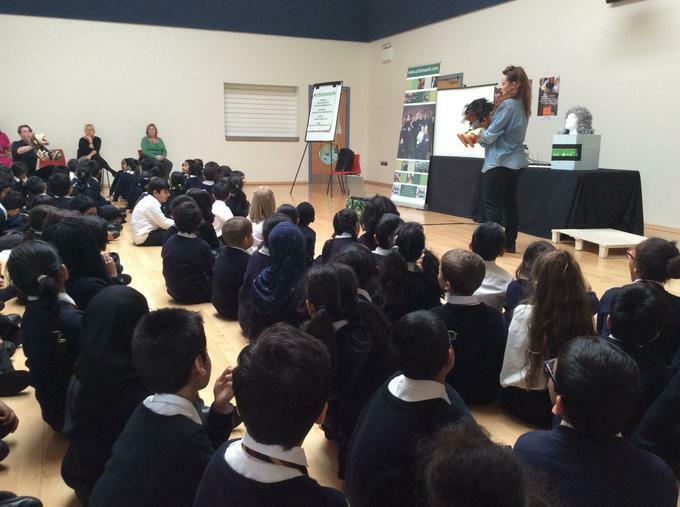 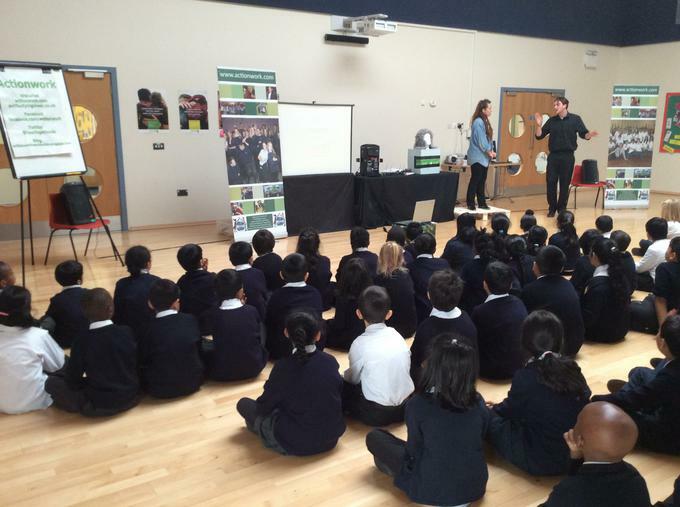 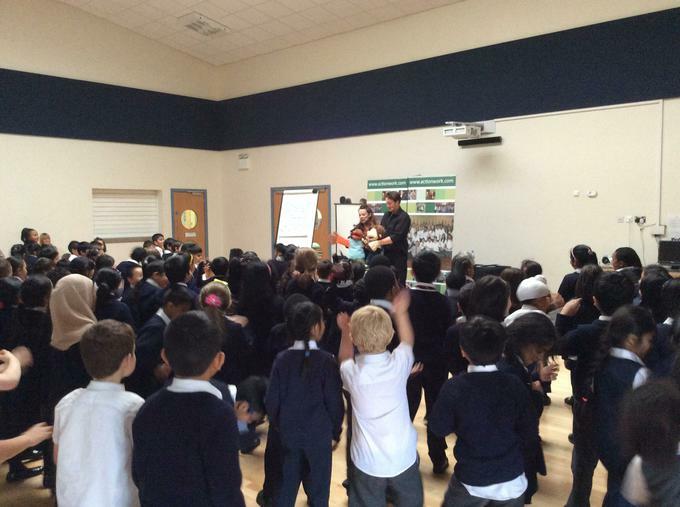 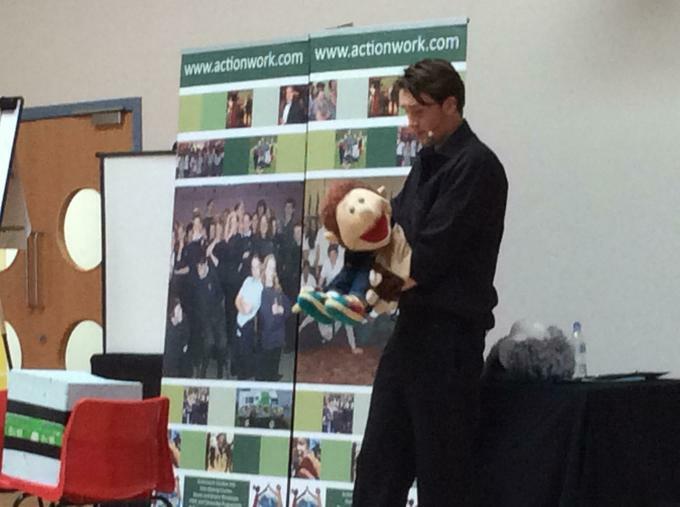 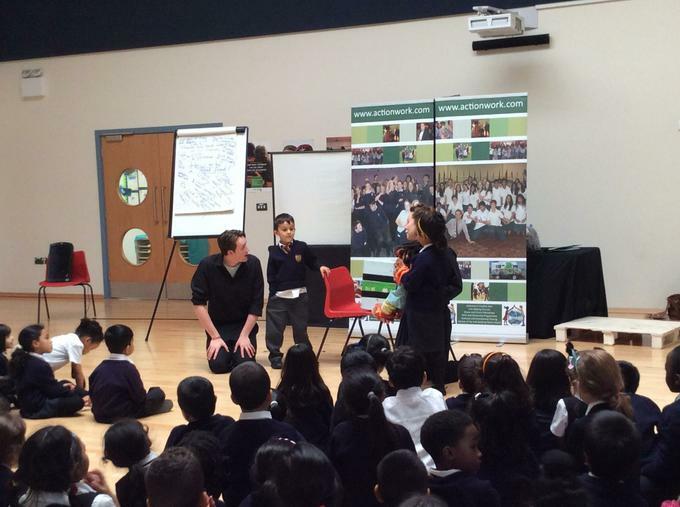 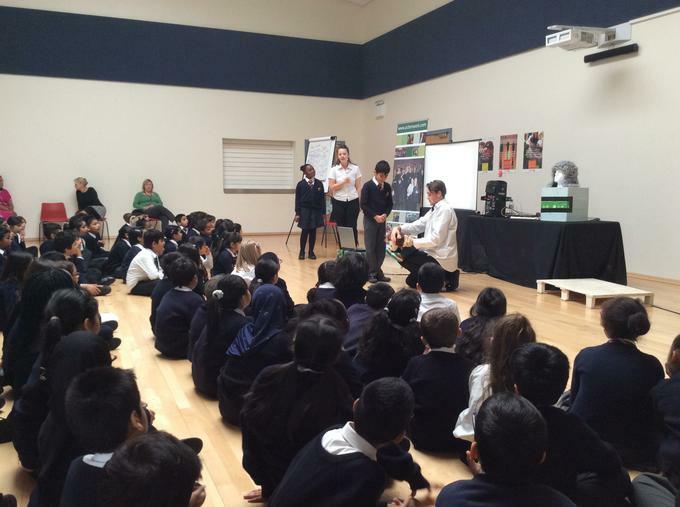 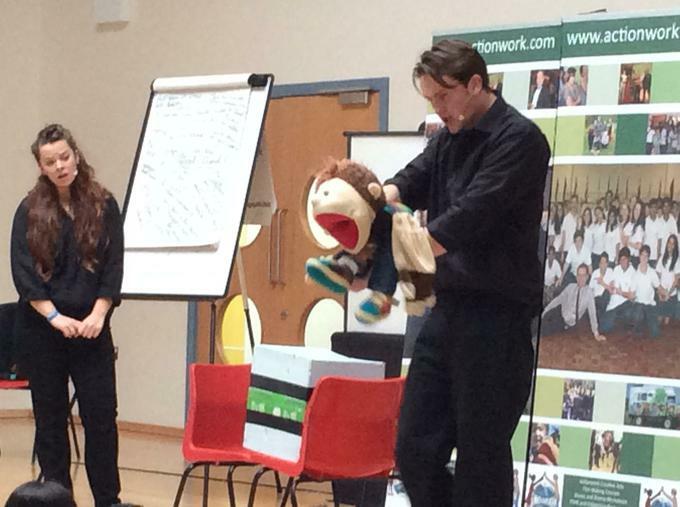 Actionwork presented their Anti Bullying Roadshow this morning to a rapt audience of all our Year 2,3, 4, 5 and 6 pupils. 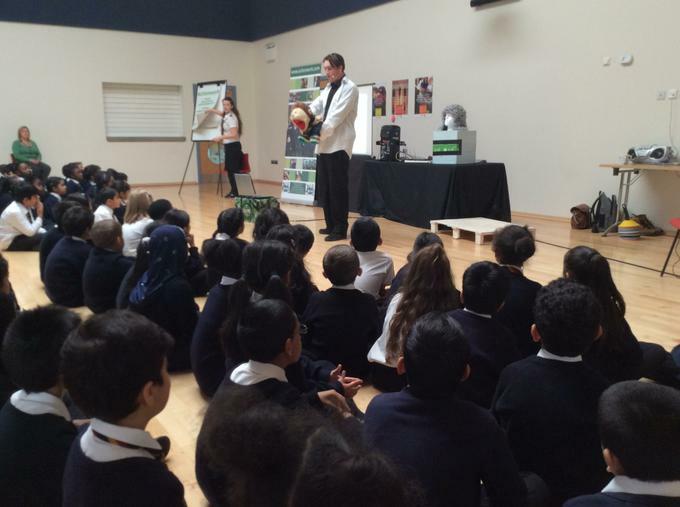 This They engaged immediately with the "Professor" who set the tone for an extremely well presented show. 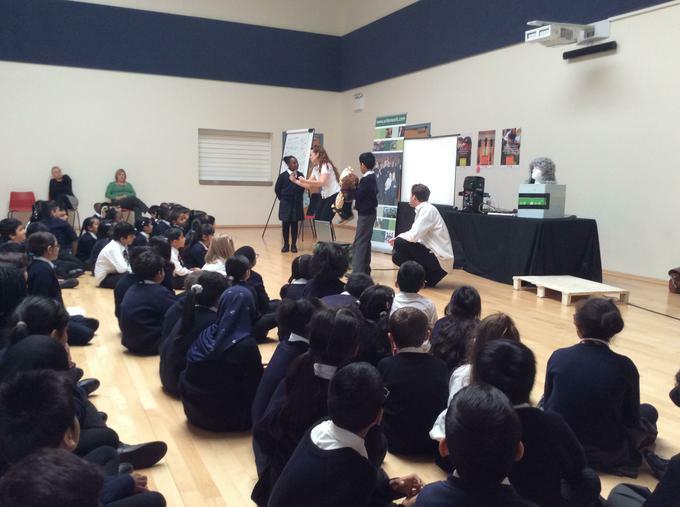 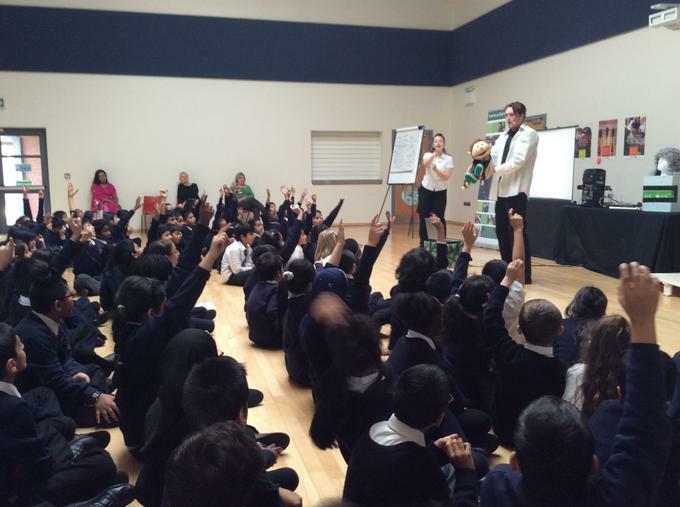 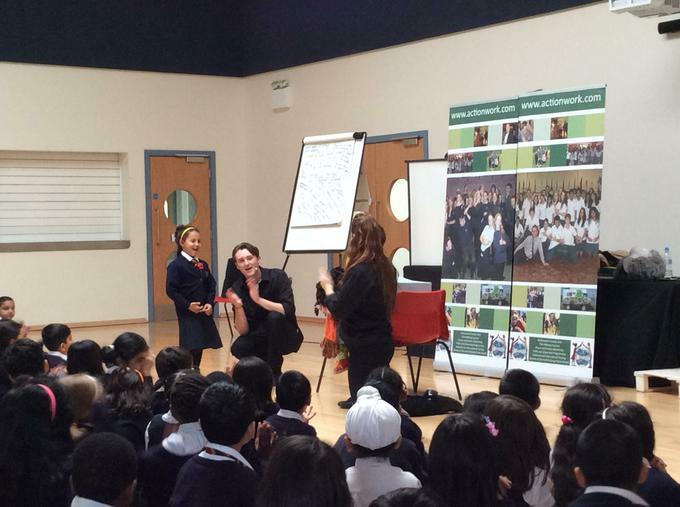 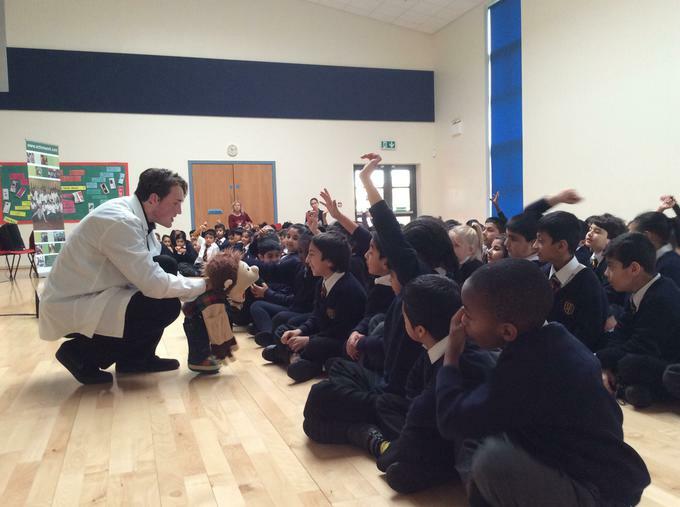 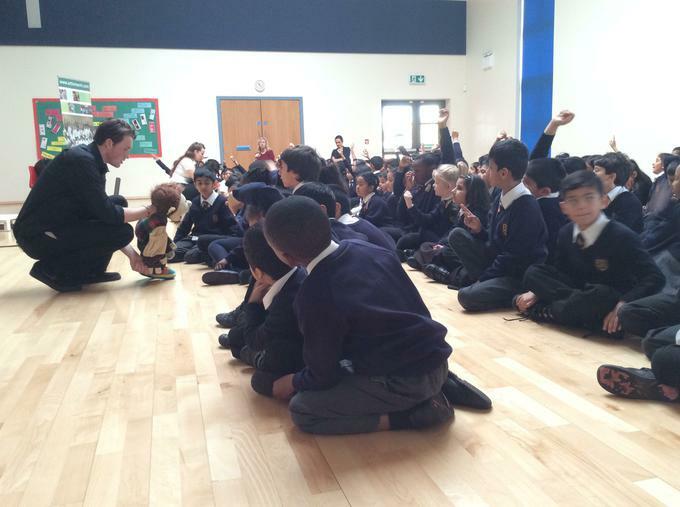 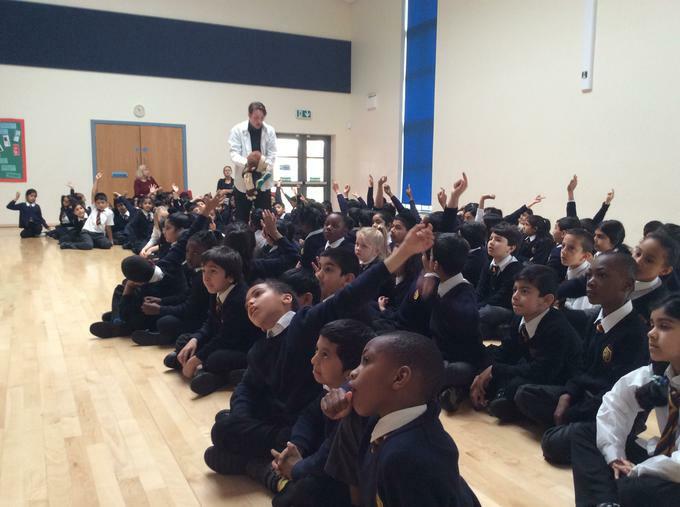 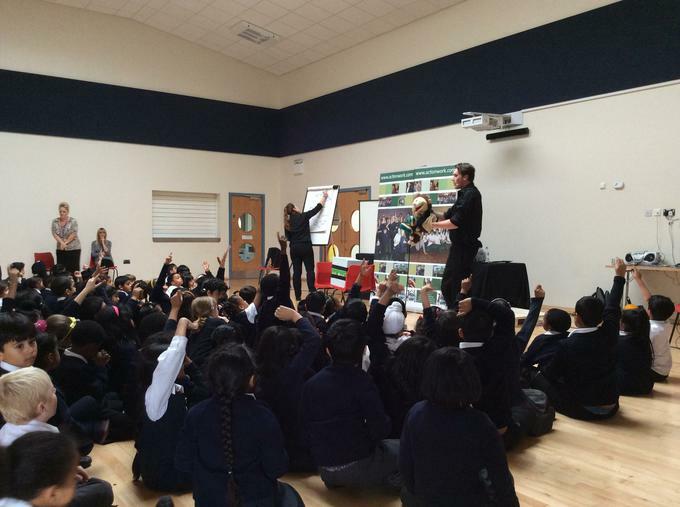 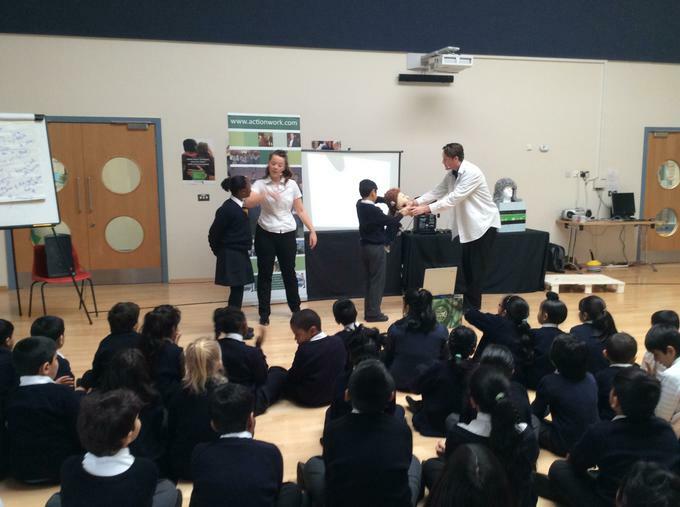 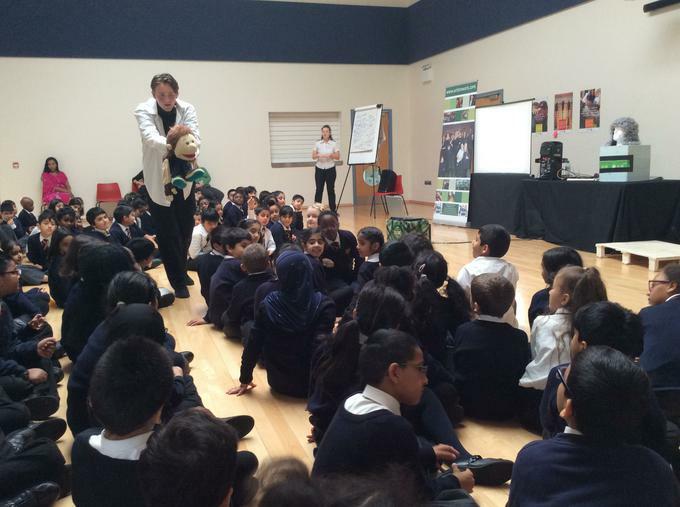 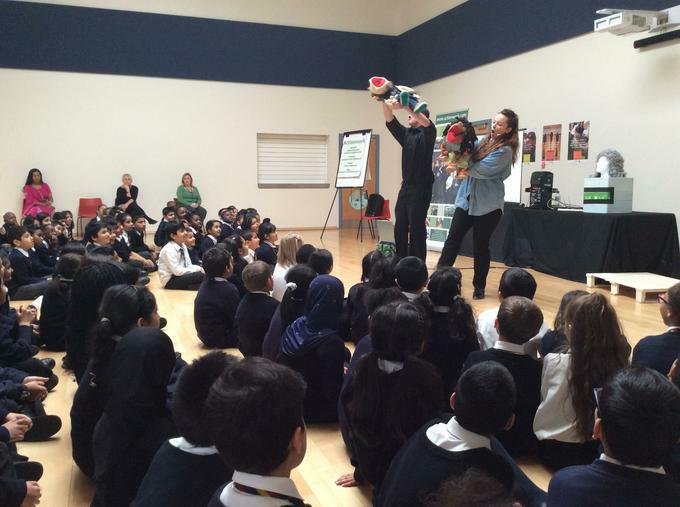 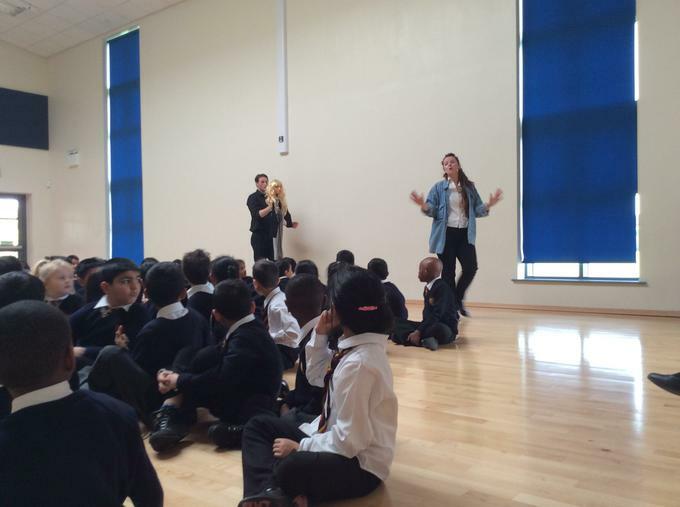 The combination of humour, puppetry, question and answer sessions, competitions and hard hitting video footage ensured that the pupils stayed focused throughout and the forest of hands that shot up to offer suggestions was testament to their total involvement.